FAST TRACK Service - Get Your Cover Faster ! Fast Track Your Cover Delivery. Specialised Covers fully tailored covers are all hand made to order. Particularly at busy times delivery is typically made within four to five weeks after placing the order. 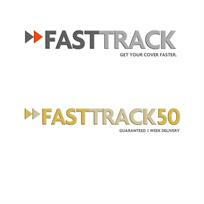 FAST TRACK 50 - guarantees your cover will be delivered within 1 week of placing your order. FAST TRACK 25 - guarantees your cover will be delivered within 2 weeks of placing your order. Simply add your selected FAST TRACK option to your basket when placing your cover order online and this will be added to your order. Alternatively ask for 'FAST TRACK' when placing your order by telephone.